We have a lot of busy parents in our community and we are excited to launch our new partnership with a company that provides babysitting services. 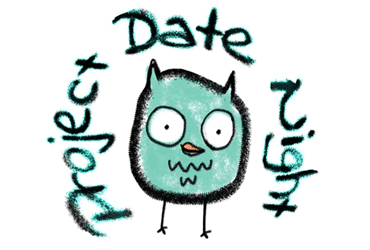 Project Date Night is your one-stop shop for finding reliable, last-minute childcare solutions. With a team of more than twenty available on short notice babysitters, they can lend a hand whenever life throws you a curveball! They are generously offering the Prosper community a 25% discount on their Yearly Unlimited Membership, or a free month on their Monthly Unlimited Plan. With co-working parents in mind, they are also launching a Rotating Playdate Series. You can now schedule with PDN a regular weekly playdate with a maximum of four families and up to eight kids. The Playdates will take place at each of the families’ homes on a rotating weekly schedule. While your children have a great time in a safe environment – you can get all your work done at your favorite neighborhood workspace. If you don’t know a family/families who could join you – they might be able to help! Contact PDN for details! Prosper is offering a discount to new parents who take part in the Project Date Night series. This offer is valid in both Crown Heights and Bed-Stuy/Bushwick.